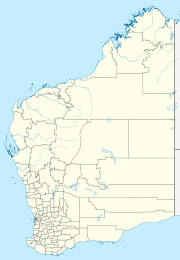 Lombadina is part of a single urban area that incorporates Djarindjin community and Lombadina. The Catholic mission was established with the help of Thomas Puertollano, a Filipino from Manila, in 1910-11. In 1916, to avoid it being taken over by the government of Western Australia, the land was bought by an Irishman, the brother of the controversial Redemptorist priest, John Creagh. The community located within the Determined Bardi Jawi (WAD49/1998) native title claim area. Children of school age at Lombadina attend the Lombadina-Djarindjin Catholic Primary School. The school runs classes for students from pre-school (4 years old) to Year 10 (16 years old). The total number of students is approximately 90. The community is managed through its incorporated body, Lombadina Aboriginal Corporation, incorporated under the Aboriginal Councils and Associations Act 1976 on 16 July 1987. Lombadina Layout Plan No.3 was prepared in accordance with State Planning Policy 3.2 Aboriginal Settlements. It was endorsed by the WAPC in 2001, however has not been endorsed by the community and exists in draft format only. The draft layout plan map-set and background report can be viewed at Planning Western Australia official site. This page was last edited on 5 January 2018, at 11:36 (UTC).